Christmas dinner was a little different this year. Instead of a turkey or ham, my mom wanted to try stuffed chicken breasts. 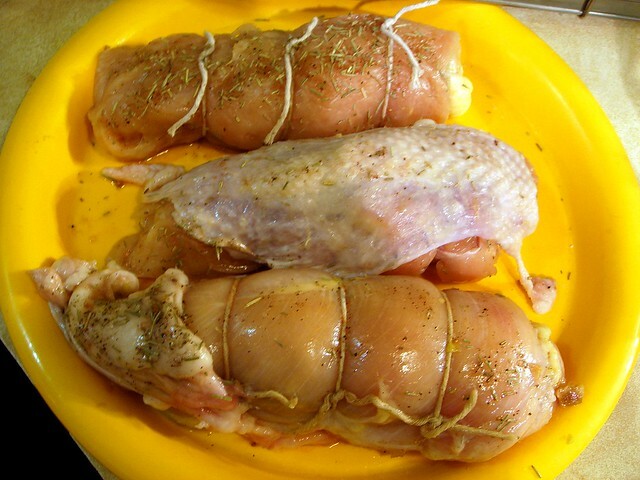 They're fancy with the stuffed filling, and the only real work to prepare them consists of butterflying and pounding split chicken breasts, rolling the chicken up, and securing the rolls with cooking twine. 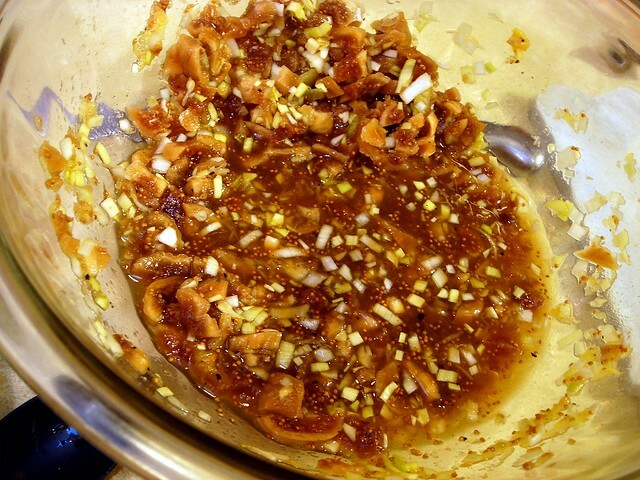 We started off by preparing a fig and leek filling. Oh Nuts had sent me some figs, so I figured this was a perfect opportunity to finally use them. They were soft, especially for being dried figs, and reconstituted nicely in heated orange juice. Finely chopped leeks, a bit of salt, and white wine were mixed in. The key to keep the chicken from falling apart is to secure the roll with cooking twine. I've used toothpicks before, but it's not as good. 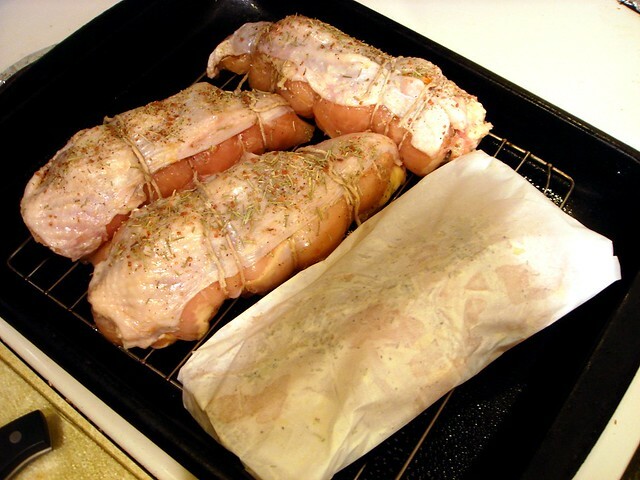 Mom had the idea to drape the excess skin on top to keep the chicken breasts moist and develop a crispy crust. For flavoring, I coarsely ground dried rosemary with kosher salt, red clay sea salt, and pepper. 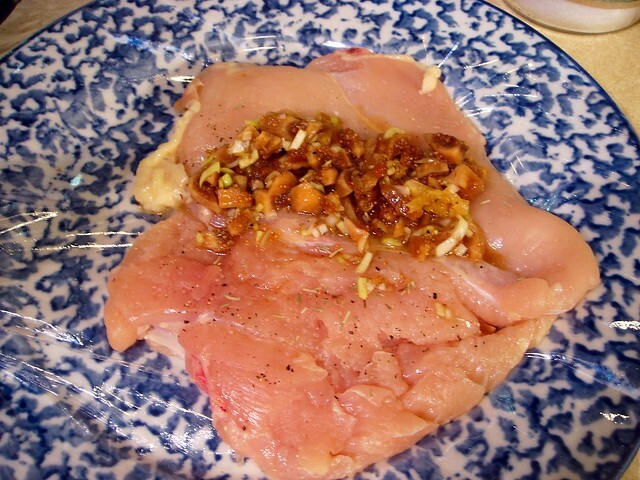 I sprinkled the mixture underneath the skin (as well as rubbing the chicken with butter) and on top. The last chicken roll was placed in a parchment pouch. I've never cooked a chicken like this before, but it came out incredibly moist. 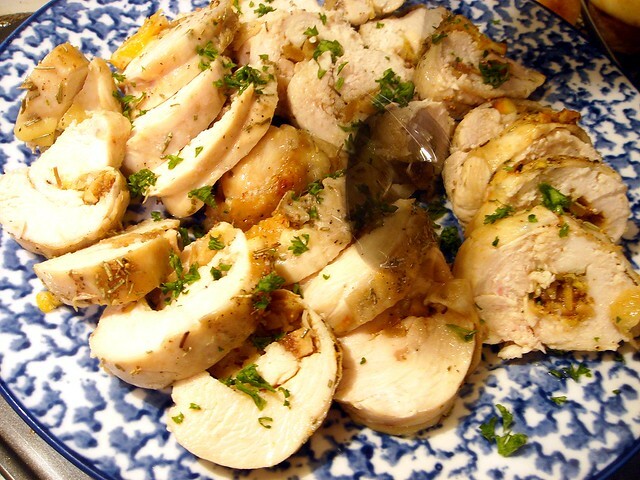 Once the chicken is cooked, we let it rest, covered, so that the juices won't ooze out when sliced. The stuffed chicken tasted great and the figgy-leek filling was very tasty. It made for a great change of pace to turkey and didn't require much prep time or post feast clean up. 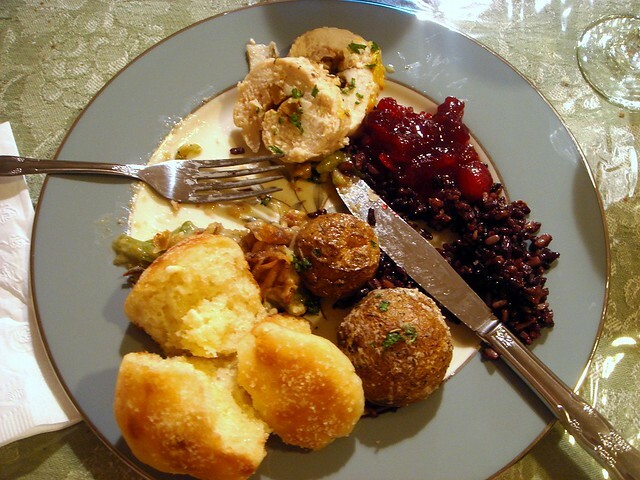 Along with the chicken, we had rice pilaf cooked in a pressure cooker (post to come), roasted Yukon gold potatoes, homemade bread rolls, and homemade cranberry sauce. What did you guys have for Christmas dinner? 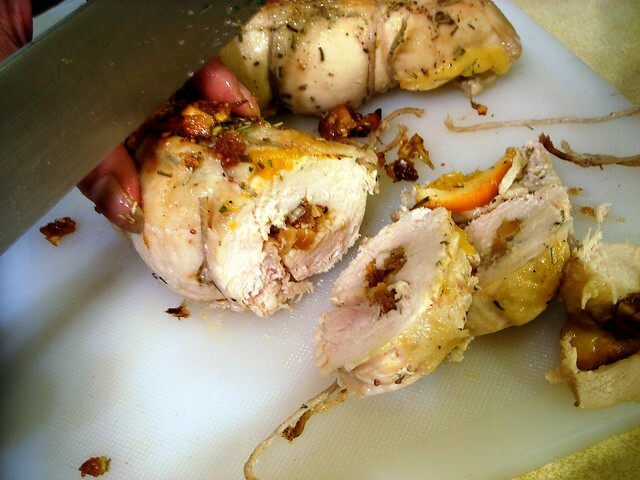 I love the idea of doing something requiring less clean up for a holiday dinner, and I loved stuffed chicken breasts. I think the entire meal sounds wonderful. We don't do any special Christmas dinner here - more of brunch/breakfast people so we did a waffle breakfast with strawberries, homemade whipped cream and an assortment of breakfast meats. Yummy! So simple and so perfect! 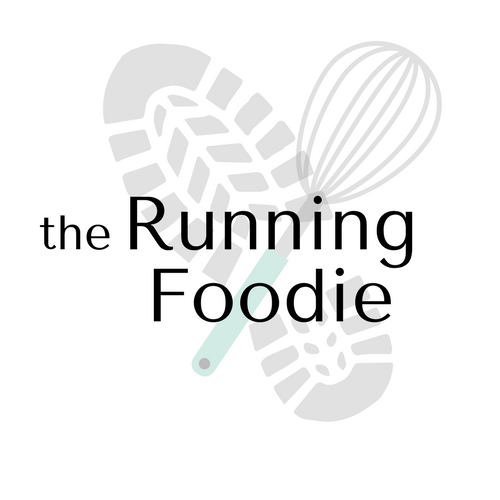 It’s my pleasure to read this blog post Christmas Dinner Done Differently . Your blog post is very useful. I have been looking for this knowledge for many days. I think highly of you efforts. I will come here again to check new keep posts. Thanks.